Montana has a progressive state income tax with a top rate of 6.9%. That rate is higher than the national average, but Montana has only a few other types of taxes. There is no sales tax in the state and property taxes are below the national average. Retired? Use our Retirement Income Tax Calculator. Montana is a relatively taxpayer-friendly state. There are no sales taxes in Big Sky Country and property taxes are below the national average, with an average effective rate of just 0.84%. The state does have a personal income tax, with rates ranging from 1% to 6.9%; those represent the 18th-lowest bottom rate among U.S states and the 15th-highest top rate. To offset income taxes, however, Montana offers a number of tax credits, including a credit for capital gains. Read on to learn more about that and other credits, as well as additional Montana tax rules and exemptions that might affect you. The Montana state income tax is progressively structured, with higher rates for higher income earners. As shown in the table below, rates range from 1% to 6.9%. To calculate income taxes, Montana taxpayers should begin with their federal adjusted gross income (AGI). That number may include some types of income that are not taxable in Montana and need to be subtracted. Social Security income, unemployment compensation, state income tax refunds, interest from federal bonds or notes, some pension income and active duty military income are among the types of income that can be subtracted from federal AGI when calculating taxable income in Montana. Itemized deductions are allowed in Montana and there are a number of deductions in Montana that are not available federally. 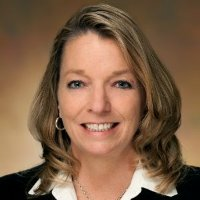 The deduction for federal income tax payments allows taxpayers to deduct all of the income tax payments they made over the past year (including withholding taxes); this deduction can be as much as $5,000 for single filers or married people filing separately, or $10,000 for joint filers. Political contributions can also be deducted, up to $100 for you and another $100 for your spouse. For filers who do not claim itemized deductions, the standard deduction in Montana is equal to 20% of adjusted gross income, within a minimum and maximum boundary. The minimum standard deduction is $4,060 for joint filers and heads of household and $2,030 for all other filers. The maximum standard deduction is $9,160 for joint filers and heads of household, and $4,580 for all other filers. The personal exemption amount in Montana is $2,440. Exemptions can be claimed for you, your spouse and any dependents. Each exemption reduces your taxable income by the personal exemption amount. In addition to deductions and exemptions, Montana offers credits to reduce the total tax burden of taxpayers in certain circumstances. Those credits include the credit for income taxes paid to another state, the college contribution credit, the qualified endowment credit, the energy conservation installment credit, the alternative fuel credit, the elderly care credit, the recycle credit and the capital gains credit (described in the next section). While Montana does tax capital gains, the state offers the capital gain tax credit to offset the cost. The credit is equal to 2% of all net capital gains listed on your Montana income tax return. In effect, that lowers the top capital gains tax rate in Montana to 4.9%. There is no state sales tax in Montana. Goods and services can be purchased sales-tax-free (although “sin” taxes on alcohol and cigarettes do apply—see below). While there is no sales tax in Montana, the state does collect excise taxes on alcoholic beverage. These are typically collected from the wholesaler and not at the point of sale, so they may not appear on your receipt. Instead, they will be directly included in the price. The tax varies depending on the beverage type and alcohol content. Beer is taxed at a rate of 14 cents per gallon (1.3 cents per 12-ounce beer), liquor is taxed at a rate of $9.78 per gallon and wine is taxed at a rate of $1.06 per gallon. As with alcohol, Montana levies an excise tax on cigarettes. The tax is $1.70 per pack of 20, which equals 8.5 cents per cigarette. This is just slightly below the national average of $1.78 per pack. The state collects the tax from wholesalers, who must then attach decals to each pack of cigarettes sold as proof of payment. Because wholesalers pay the tax, it is already included in the price that consumers pay. Although property taxes primarily support local governments and services in Montana, the state Department of Revenue oversees the appraisal and assessment of property throughout the state to ensure that properties are evaluated in a uniform manner. The state’s average property tax collections are relatively low, with an average effective rate (property taxes as a percentage of home value) of 0.84%. This is the 19th lowest rate in the U.S. 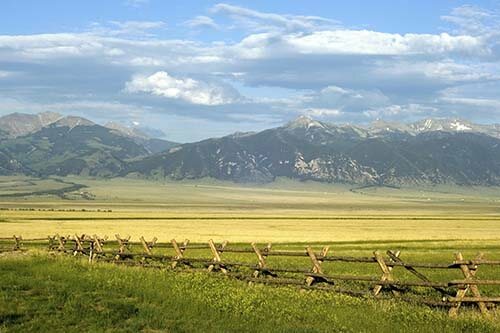 If you’re considering purchasing a house in the Big Sky State, or if you’re already a Montana resident and want to refinance your mortgage, check out our Montana mortgage guide. It breaks down the rates and other information you’ll need to know before getting a mortgage. Big Sky Country is a great place for a road trip, but keep in mind the state’s gas taxes when planning your route. The tax on regular gasoline is 32.25 cents per gallon. This is the 20th-highest in the U.S. When combined with the federal gas tax, the total tax on fuel in Montana is 50.65 cents per gallon. The tax on diesel is slightly lower: It‘s 30 cents per gallon at the state level, for a total of 54.4 cents per gallon when including federal taxes. As of January 1, 2005, there is no estate tax in Montana. Prior to that date, the estate tax was equal to the maximum credit allowed against the federal estate tax. More than 3 million people visit Yellowstone National Park every year. Approximately 80% of these visitors come in the months of June, July, August and September. 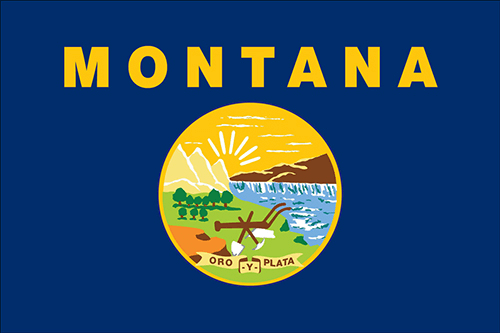 Montana’s state motto is “Oro y Plata” which means “silver and gold” in Spanish. The largest cities in Montana are Billings, Missoula, Great Falls, Bozeman and Butte.